Here is a list of just some of the games that are available in the store (We have hundreds of different games/expansions in the store!!!). If you are looking for a particular game, please e-mail us and we will do our best to find it at one of our distributors for you! If you like this game, check out: Carcassonne: Inns & Cathedrals, Carcassonne: The Castle, Carcassonne: The City, Carcassonne: Traders & Builders, Carcassonne: The Princess & the Dragon, Carcassonne: King & Scout, Carcassonne: The Tower, Carcassonne: The Discovery, Carcassonne: Abbey & Mayor, New World: A Carcassonne Game, Carcassonne: Die Katharer, The Count of Carcassonne, Carcassonne: Catapult, Carcassonne: The Mini Expansion, Carcassonne: Wheel of Fortune, Carcassonne: Cult, Siege and Creativity, The Kids of Carcassonne, Carcassonne: Bridges, Castles and Bazaars, Travel Carcassonne, Cardcassonne. Dominion is not a CCG, but the play of the game is similar to the construction and play of a CCG deck. The game comes with 500 cards. You select 10 of the 25 Kingdom card types to include in any given play - leading to immense variety. 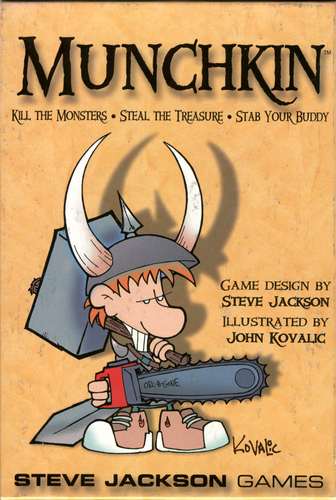 Some of the Awards: 2009: Game of the Year, Best Card Game, Best Family Strategy Game. 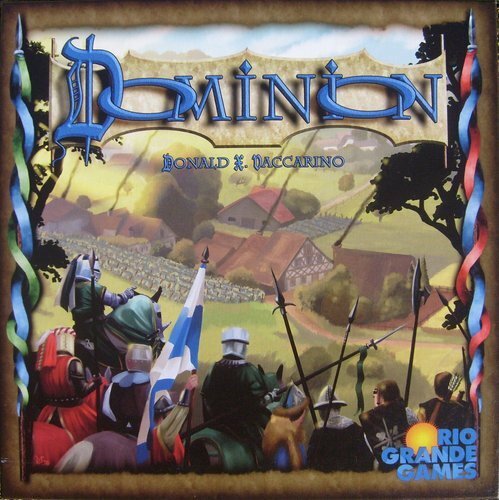 If you like this game, check out: Expansions: Seaside, Prosperity, Alchemy, Cornucopia, Hinterlands, and the stand-alone game Dominion: Intrigue (this can integrate with original Dominion to play with up to 8 players). 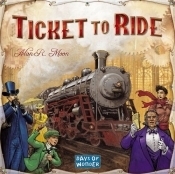 If you like this game, there are several different expansions available. 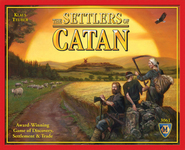 If you like this game, check out: Settlers of Catan 5 - 6 Player Expansion, Settlers of Catan Card Game and Expansions, Settlers of Catan Dice Game, Settlers of Catan Travel Edition, Settlers of Catan Traders & Barbarians and 5-6 player expansion, Settlers of Caanan, Settlers of the Stone Age, Seafarers of Catan and 5-6 play expansion, Rivals for Catan, Catan Struggle for Rome, Catan Settlers of America, Cities & Knights of Catan and 5-6 player expansion, Kids of Catan.